Smartphone technology is moving at a breakneck speed. What was considered cutting-edge a few years ago is now considered everyday fare. If you want to enjoy the newest features currently available on a smartphone, you’ll have to buy the latest device. New versions of smartphones are launched every year. However, buying one every time isn’t very feasible. Even if you manage to buy a new device, you still have the problem of what you should do with the old phone. Cashify offers a solution to both problems. Cashify lets you sell your older smartphone quickly & without any hassle. Usually, selling your old handset means that you’ll have to put out an advertisement and then wait for the seller to contact you. After that, there is a discussion between you and the seller where negotiating the price. As if that wasn’t enough, you will then have to meet at a given location in order for the transaction to finalise. Cashify streamlines the entire process. You don’t have to wait for a seller to contact you. Cashify will offer a fair deal for your phone based on the brand as well as the condition of the phone. The price that you get for the device will be completely objective. This means that the amount you get is based on the phone itself, not anything else. So you can be sure that you get the right price for your device. You don’t even have to leave your home as a Cashify representative will come over to pick up the device. In fact, you can sell your smartphone in 60 seconds. Now that’s quick! Cashify isn’t limited to just phones. You can even sell your TV, laptop, tablet, gaming console and iMac. Using the service is simple and hassle-free. All you need to do is log onto the Cashify website or install the app on your smartphone. Then select which device you wish to sell. Once you do that, just follow the on-screen instructions to get a quote from the company. You don’t even have to go anywhere as the device will be picked up from your home, and you will be paid via a payment method of your choice. For example, you may have the 64GB version of the Xiaomi Redmi Note 5 that is just about a year old, and might be planning on buying the new Redmi Note 5. 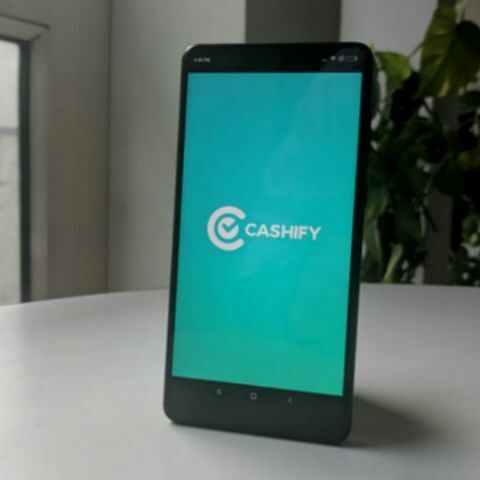 Cashify can offer you as much as Rs 5,100 for your old smartphone. As you can see, Cashify makes selling your smartphone a simple and easy process. If you are planning to buy a new device, it’s a very good idea to sell your old smartphone and put the money you get into the purchase of the new handset. This way, not only do you get your new phone at a low effective price, but you also get rid of a device that you no longer have any need for. You can check out how much Cashify will give you for your smartphone by clicking here.